Are you looking for leadership development possibilities? Would you like to develop personal and customer-focused leadership in a natural way? 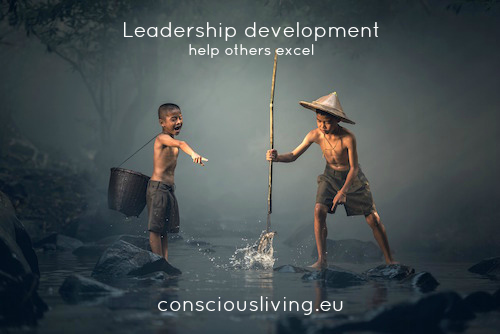 Consultant, trainer and psychotherapist Wendy van Mieghem offers you a one year course in leadership development. The course is available through open enrollment and as a tailor-made in-company track for companies, teams and individual professionals that like to grow from the inside out, personally and professionally. Leadership Development starts here. So, keep reading. Leadership is a process in which an individual influences a group of people in order to achieve a certain goal (source). Leadership is about the psychology of humanity, about change and the attitude from which information is being interpreted and processed. Therefore, leadership confronts you with your own blind spots, shortages and sensitivities. Hence, a second, complementary definition of leadership could be: the extent and depth in which you integrate (your and others) humanity into daily life and work. Once you get to know human shortages from the inside out and (learn to) take care of them, it becomes possible to tune in to what is needed, beyond emotions and pain. As a result, you hear and see others better. You get to the core more easily and you’re able to connect despite differences. To serve is the core of leadership: to put your qualities, sensitivities and humanity in service of others in such a way that it unites them and enables them to excel. Personal leadership focuses on taking control over your daily life, personally and professionally. 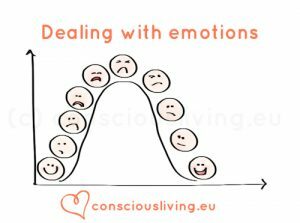 It invites you to become more aware of the patterns in thinking, feeling and doing that (un)consciously influence your daily actions. When do you let go of contact with yourself? Where do you give away control? When do you react in a cramped way? How effective is your communication? During the leadership development tracks that I offer, I help you gain experiences. Through gaining experience-based knowledge you learn to take care of yourself and others in an open, natural way. 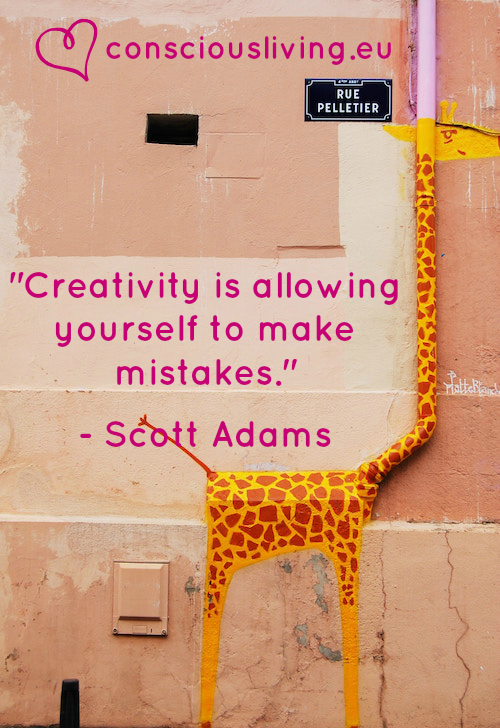 It’s not a question of not being allowed to make mistakes; there’s no need to be perfect. Above all, it’s about learning to connect (more) deeply with your own humanity. As a result, you learn to look, act and communicate with a long-term focus. Your communication becomes transparent, powerful and subtle. Whenever you’d like to inspire your employees to be customer-focused, oddly enough it is necessary to first invite them to connect more deeply to their own needs and shortages. By taking care of themselves, space arises. Space that enables employers to naturally develop an eye for the needs and shortages of customers. 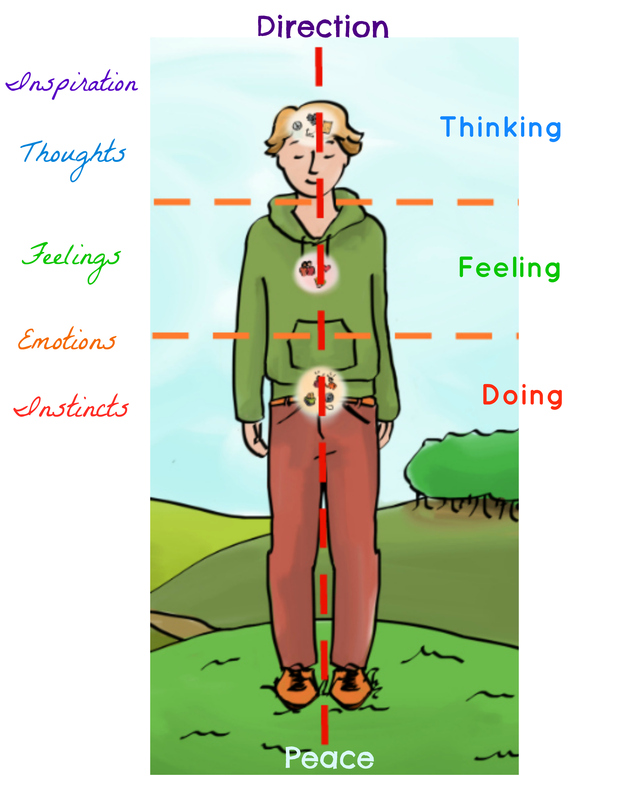 By growing and changing from the inside out, you become more sensitive to what’s truly going on. This way, being customer-focused becomes a fascinating learning path during which employees can function well and reach their full potential. It can be easily combined with quality improvement and sustainable employability. People from various companies regularly contact me because they wish to change their organization, team culture or individual work attitude from the inside out. Do you prefer an in-company solution for your leadership development needs? I’m happy to provide tailor-made training and guidance. When you prefer to join via open enrollment, the Leadership Development one year course enables you to acquire, refine and deepen your leadership skills even further. The course is suitable for professionals who wish to attain and apply people-focused leadership in their current position. Learning by doing is at its core. The course consists of 10 training days + 10 individual sessions + 3 online courses. The training course takes place from September until June or from January until November. dealing with (un)safety, need for control, distance versus nearness. During the Leadership Development one year course, you get to know your inner and outer world better with the help of the experience-based knowledge, do-it-yourself assignments, reflection questions and exercises. We will tune in to both your personal and professional development so far. We’ll also take your current working conditions and life conditions into account. This way, the track will be truly attuned to who you are and what you need. Together, we will create a safe learning environment in which you and your co-students or team can grow and change efficiently. You can enroll by sending me an email. I’ll contact you within 2 working days. The training days are all on a Friday, approximately once every 4 weeks, from 10:00 a.m. to 5:00 p.m.
Training data are determined in consultation with participants, if possible. The individual guidance sessions will take place throughout the year course by appointment. They can be held on Skype, by phone or face-to-face in my workspace. Once you’ve enrolled in the leadership development course, you’ll receive unlimited access to 3 online courses (for your own personal use only): the Basics of Meditation course and the online courses Dealing with emotions and Dealing with pain. You’re supposed to follow and get through the learning material of the online courses prior to or during the leadership development course. The online courses are an integral part of the curriculum. The Leadership Development course starts twice a year via open enrollment: in January and in September. The one year course is provided at an academic level. Please take into account that the study load (including exercises) is 2 to 4 hours per week. The property and copyright of the Leadership Development one year course both fully rest with Wendy van Mieghem. You’re not allowed to publish, share, copy, duplicate or disclose any information from the Leadership development course nor of the online courses without having received prior written permission from Wendy van Mieghem. Here you can find the rates of the leadership development course. Are you interested in the possibilities our training institute has to offer? Please contact me on: info [at] wendyvanmieghem.com . I will be happy to help in any way that I can. The Leadership Development tailor-made in-company track and one year course are developed by Wendy van Mieghem. 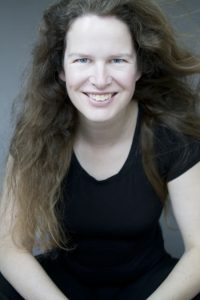 She is a psychologist, sociologist and is a European Certified Psychotherapist. From her company Consciousliving.eu she helps companies and professionals grow in contact and communication. As a driven consultant and trainer she provides training courses for professionals in English and Dutch.